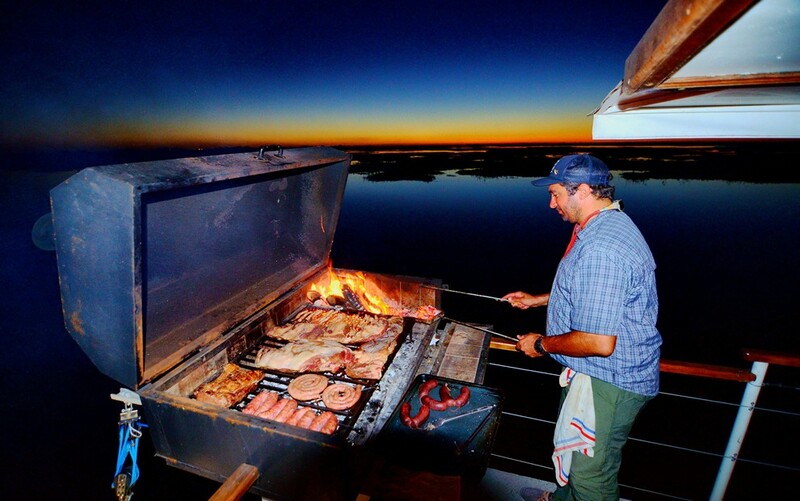 INCLUDED: Lodging, meals, open bar, rods, guided fishing, ground transport from Buenos Aires. 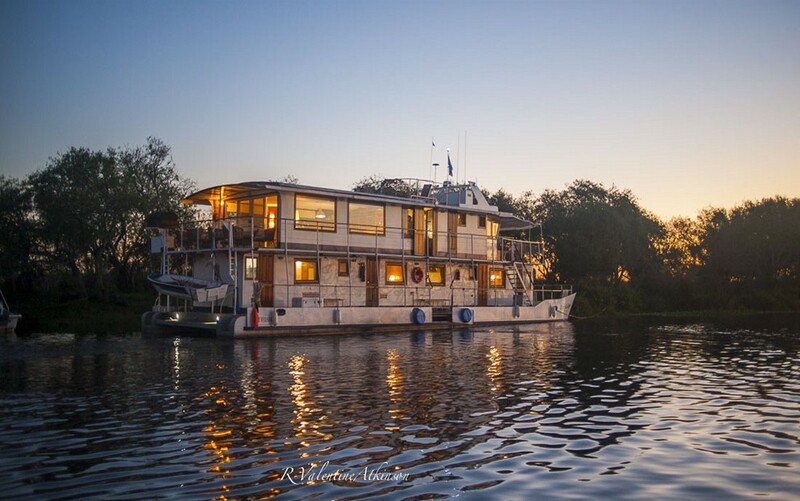 The Golden Dorado River Cruiser is the first and only liveaboard mobile fishing lodge in Argentina. 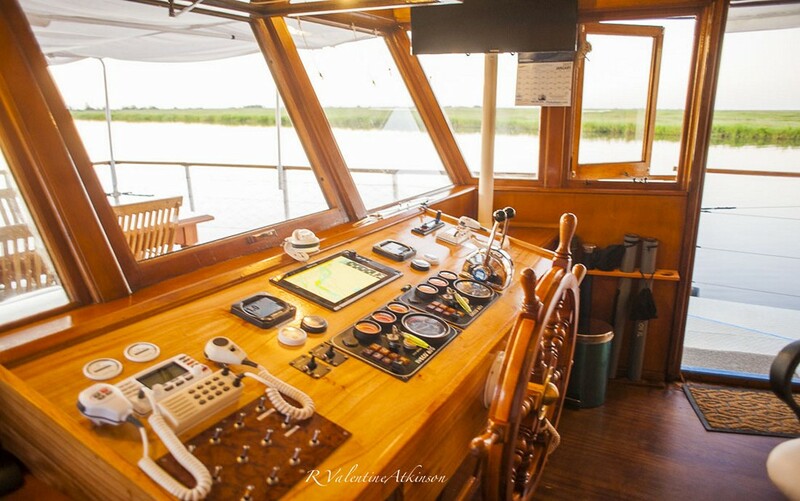 The Parana Gypsy is a fully upgraded mothership that allows anglers to reach the most productive fishing waters of the lower Parana River within the Entre Rios province. 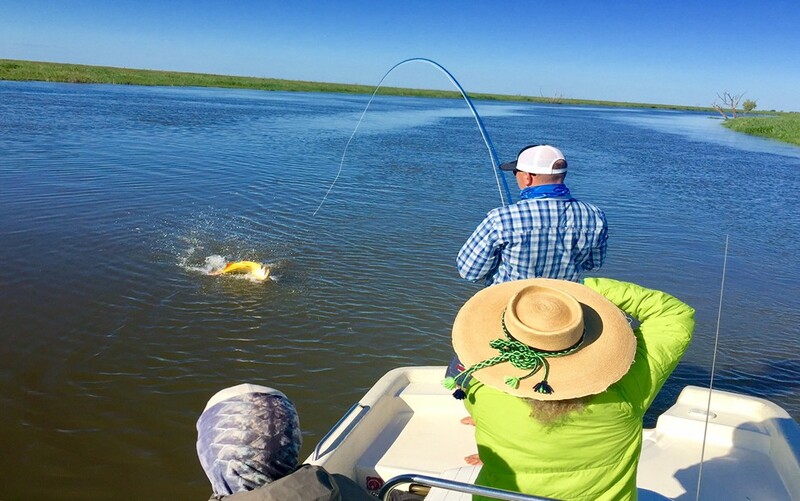 This unique program changes fishing locations with ease resulting in increasing your odds and opportunities to catch more fly shredding Golden Dorado and other game fish such as Tararira, Pira Pita and Wolfish. 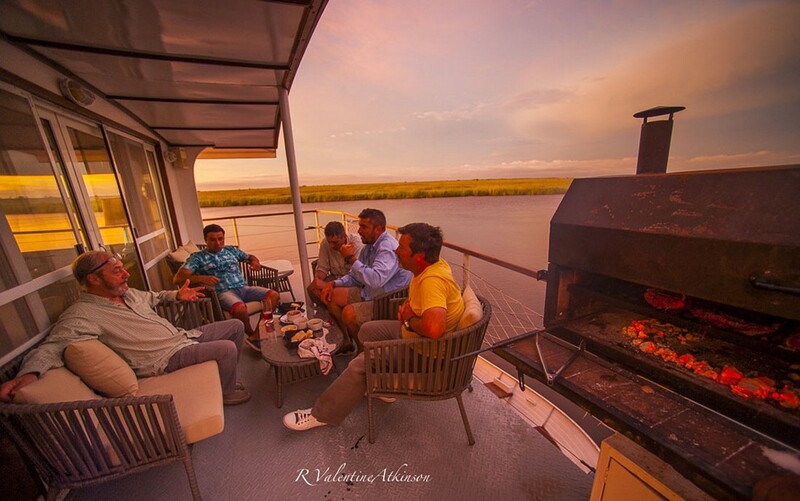 Anglers will fish 8 hours each day with the Golden Dorado River Cruiser’s professional, bilingual guides and return to enjoy the sunsets with a fine wine from the decks of the Parana Gypsy. 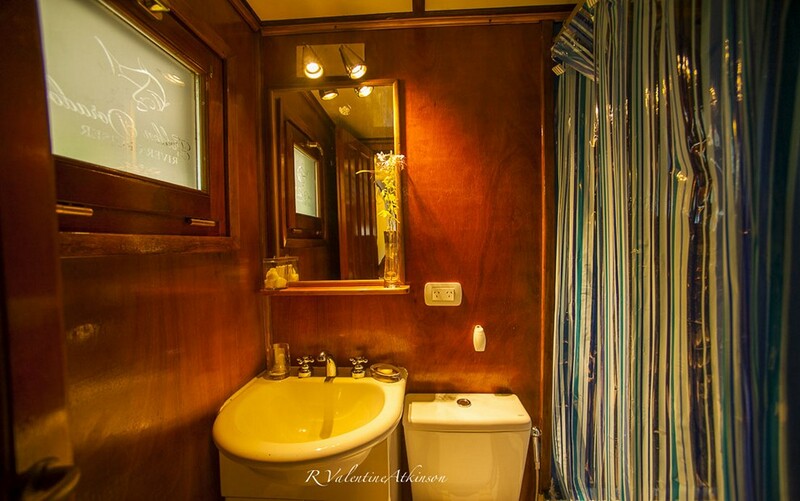 The Parana Gypsy is a world class double decker, twin engine mothership that comfortably holds 8 anglers in double rooms, each with ensuite bathrooms and A/C. 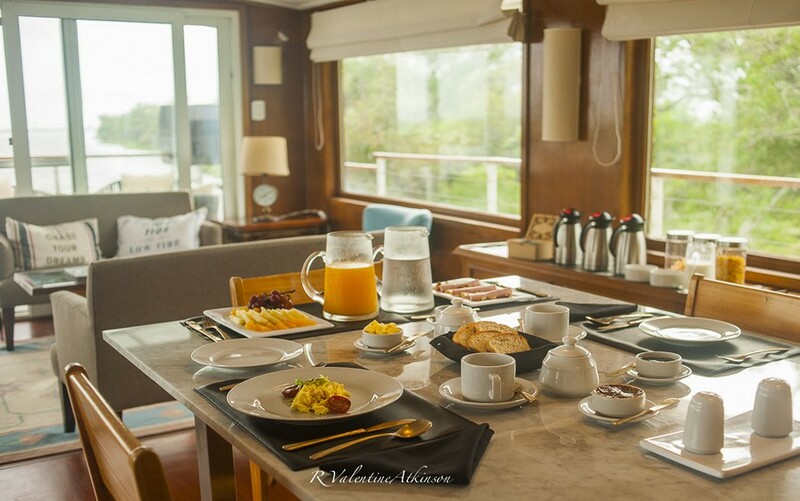 Guest rooms are on the lower deck while the upper deck is comprised of a large living and dining space for indulging 360 degree views and fine cuisine from a professional chef. 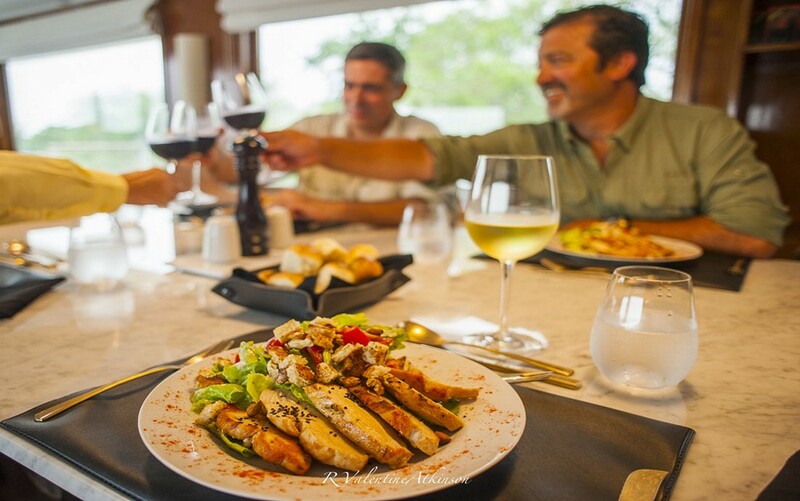 Depending on where the mothership has anchored after navigating to new waters, a special outdoor dinner may be served on a sandy beach or island. 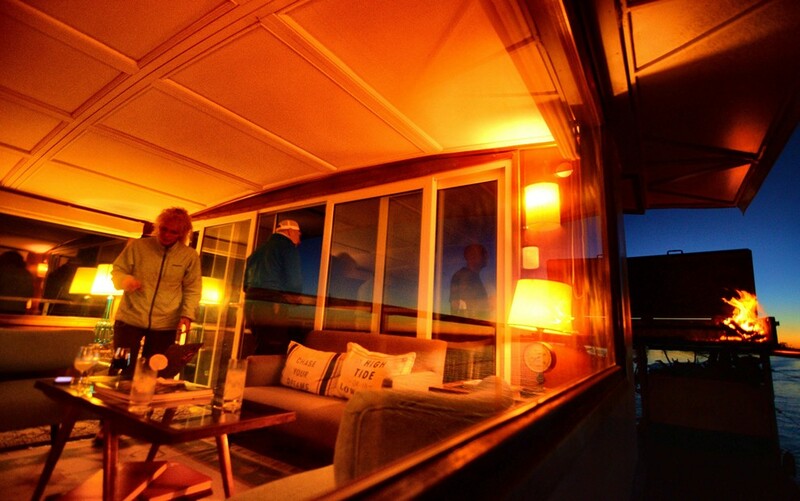 Regardless where it stops, guests will enjoy brilliant sunsets over different scenery each night. 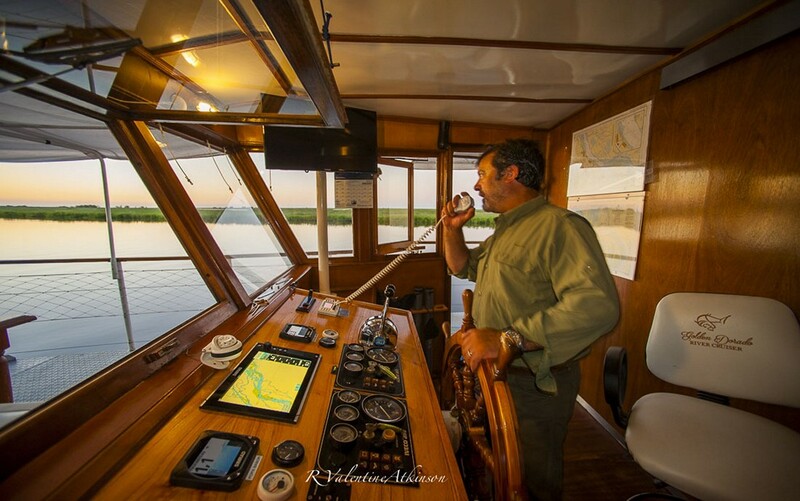 The Golden Dorado River Cruiser fishes a vast delta between the Parana and Uruguay Rivers. Anglers will explore different creeks and tributaries each day on new skiffs, equipped with Honda 70hp and electronic motors. Two anglers will cast simultaneously into small runs, or anywhere water is flowing by or through structure. 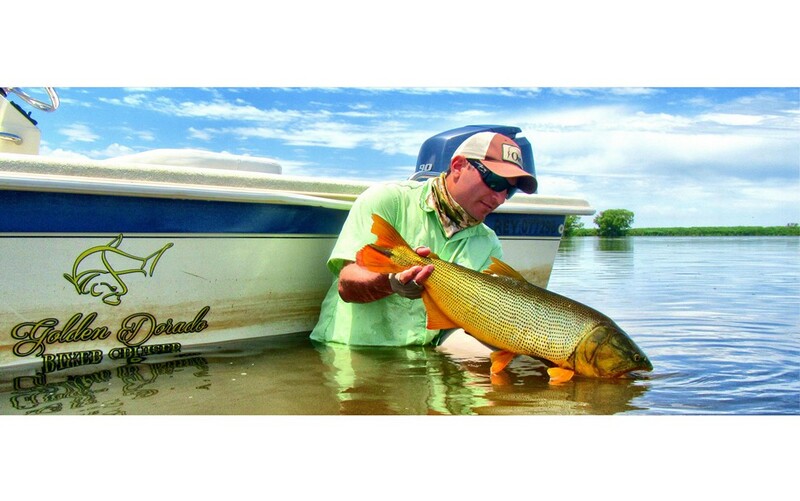 Golden Dorado are one of the world’s most aggressive and acrobatic freshwater game fish. Anglers can expect to hook several fish from 5-8lb and possibly fish in the 15-20lb range. Standard Dorado gear includes 7-8 wt. rods, 30lb wire leaders and 5 inch flies tied on 3/0 saltwater hooks. 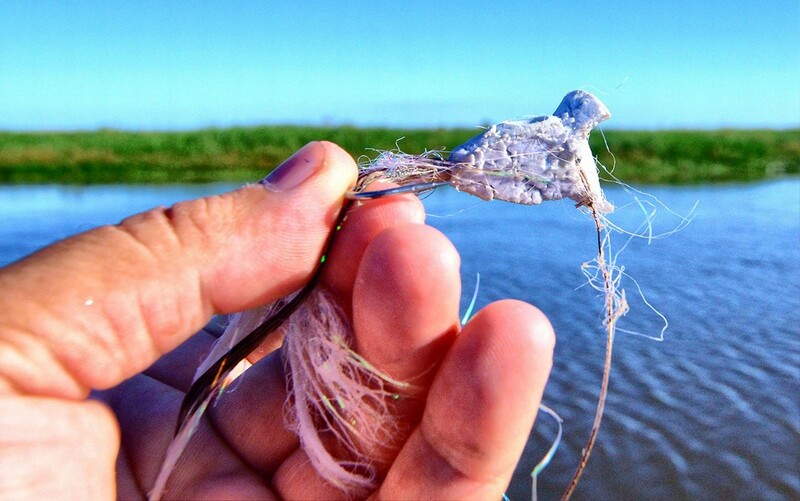 Lighter rods, floating lines and surface flies are used for smaller species such as Palometa, Piranha, River Salmon, Wolfish, Pacu and Tararias. 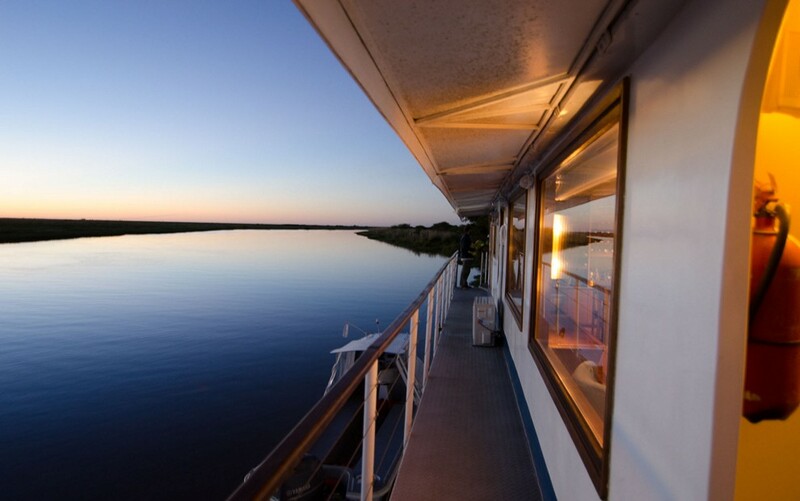 The Golden Dorado River Cruiser‘s guides are bilingual professionals dedicated to your success. 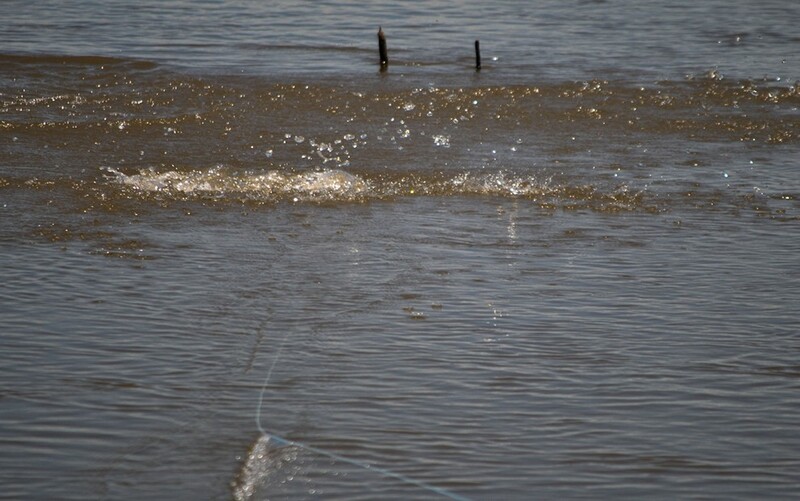 Quality bait, spinning and fly rods are available for guests use at no charge. 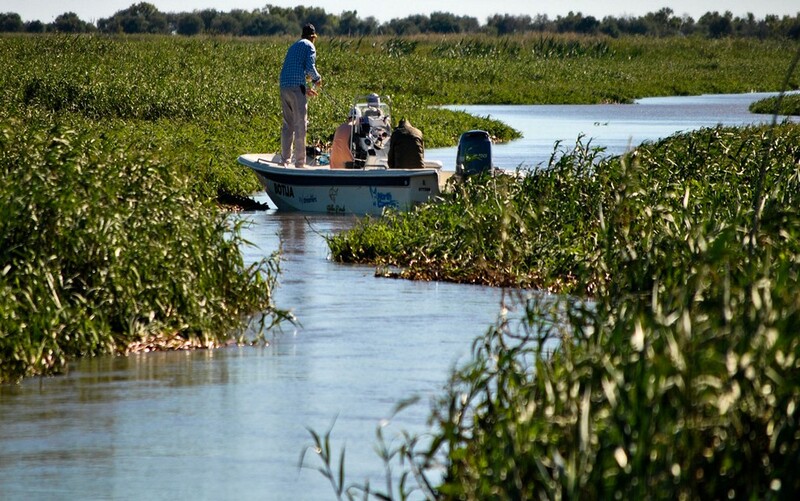 The southern Entre Rios Delta lies east of the Parana River between the Parana and Uruguay Rivers. 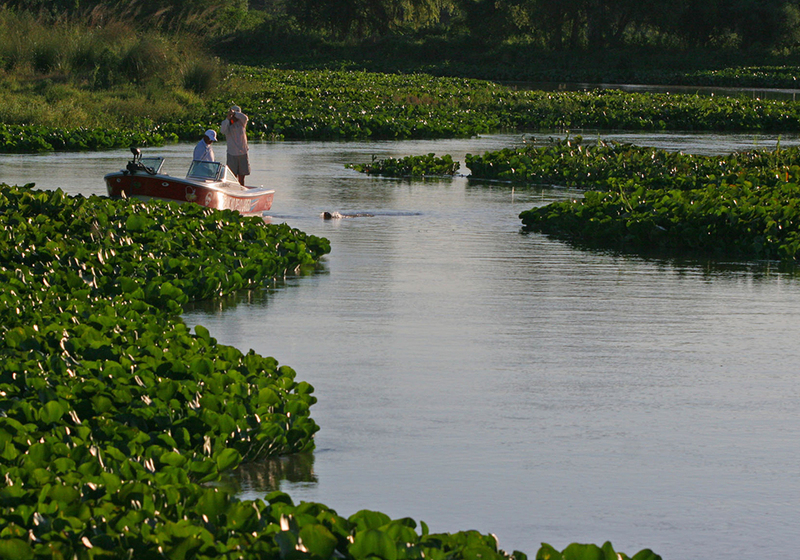 This area resembles the Florida Everglades and is comprised of rivers, creeks, lagoons, immense vegetation and islands. Some places are flat with blooming Purple Hyacinth as far as the eye can see and others areas completely enclose you in vegetation. 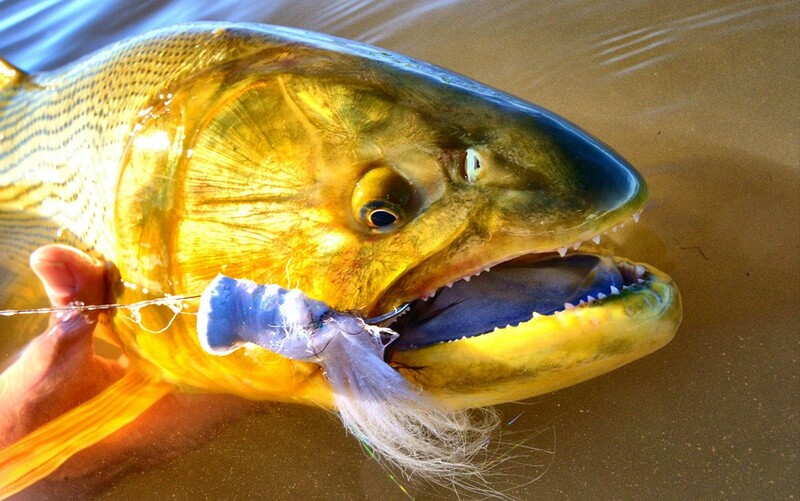 In these small waters, Golden Dorado average 7-8 pounds and reach up to 15lbs. 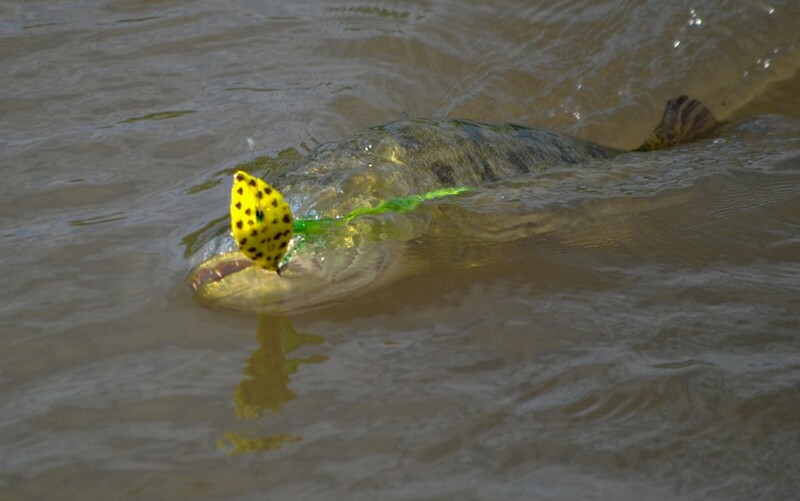 Depending on conditions, anglers may fish just outside the delta onthe main Parana River where larger fish are possible. 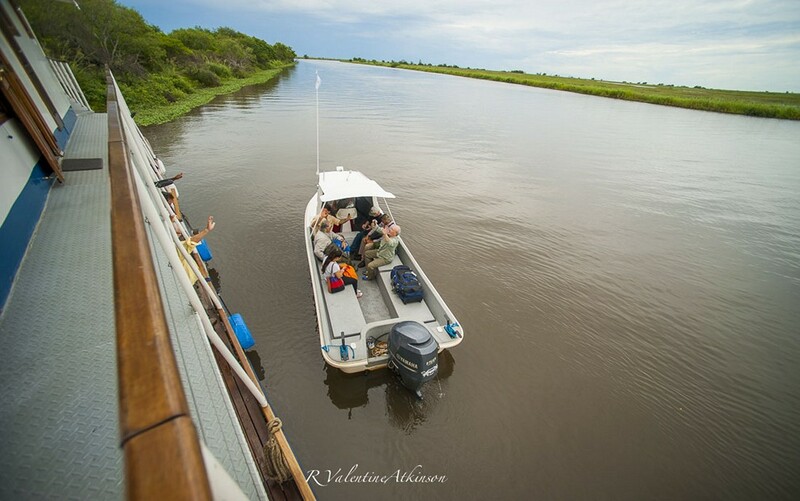 The more secluded areas of the delta offer good chances to observe exotic animals such as Water Buffalo, Capybara, Water Boas, Black Caiman and hundreds of different birds. 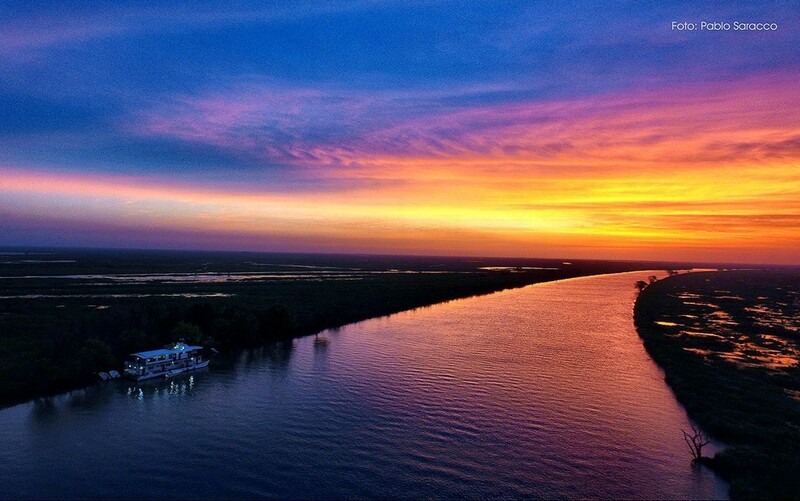 The Paraná River originates in Uruguay, Brazil and Paraguay and runs 3000 miles south to Buenos Aires. 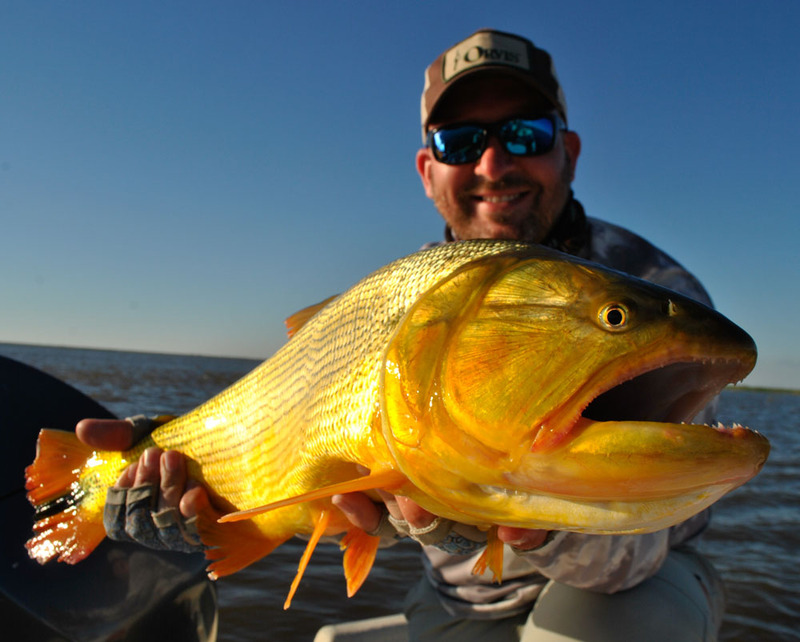 This is a prolific fishery teeming with big Golden Dorado and other game fish. 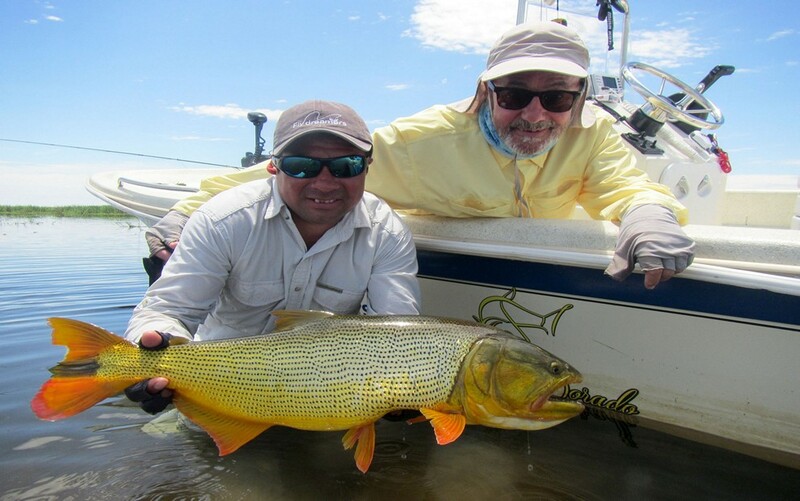 The Dorado of the main Parana average 10 pounds and reaching up to 30 pounds. This is the preferred river for anglers looking to land a trophy Golden Dorado. 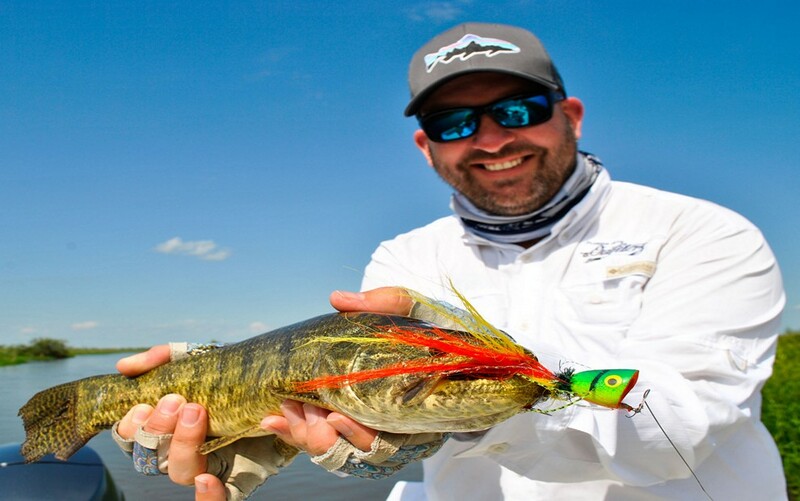 Yet, the Parana’s wide girth can be intimidating but your guides know where they are likely hiding and a hungry Dorado crashing baitfish on the surface reveals their presence immediately. 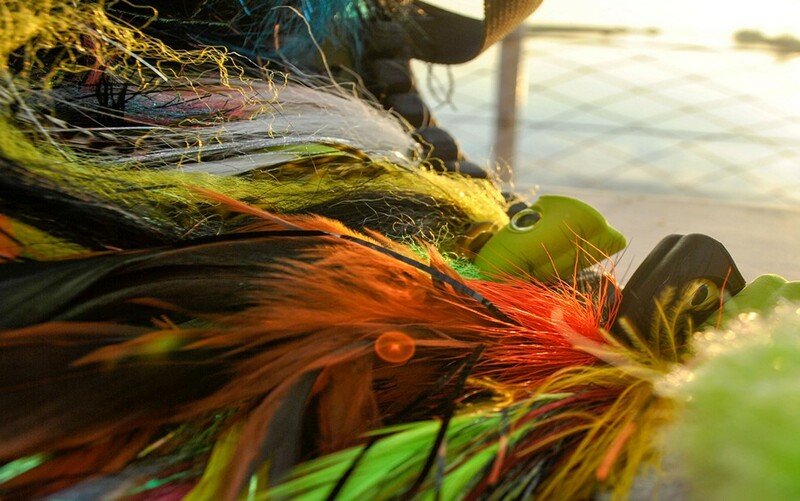 Shorter 4-6 night packages are available and make a great add-on to other fishing destinations in Argentina. 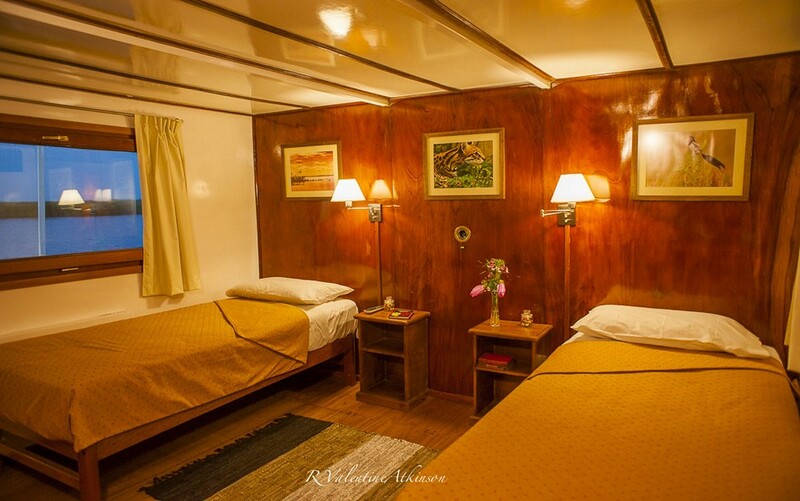 However, a weekly package on Golden Dorado River Cruiser is recommended to buffer you against possible rain days. Day 1 Arrive Buenos Aires (EZE). 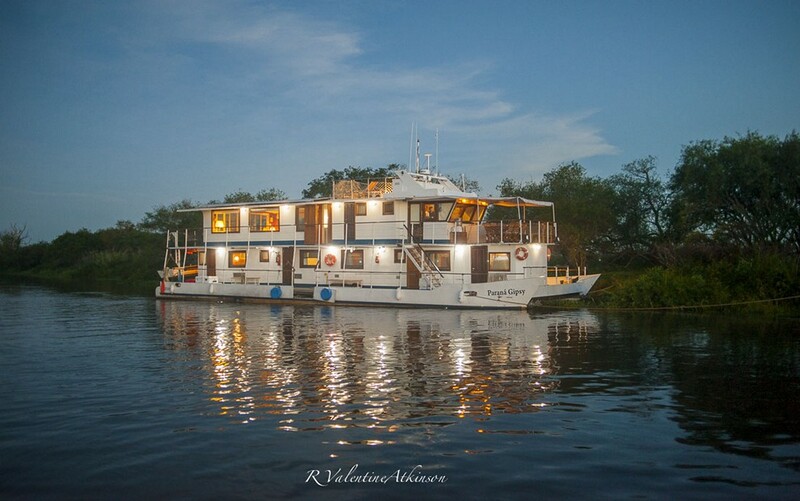 The Dorado River Cruiser’s staff will pick you up and transfer you 2.5 hours to the marina where you will board a transfer boat that takes you to the Parana Gypsy. Check in, assemble gear, introduction from the captain, cocktails and dinner. Day 8 Breakfast, boat transfer back to the marina where a representative will return you to the Buenos Aires international airport for your flight home. 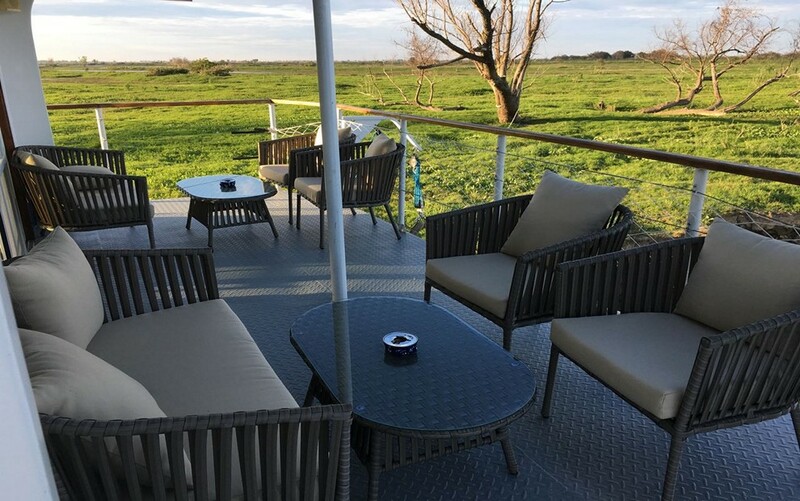 Included: Lodging in double occupancy, meals, open bar, WiFi, shared guided fishing, licenses, loaner fly, bait casting and spinning gear and ground transfers between the marina and airports/hotels in Buenos Aires or Rosario. 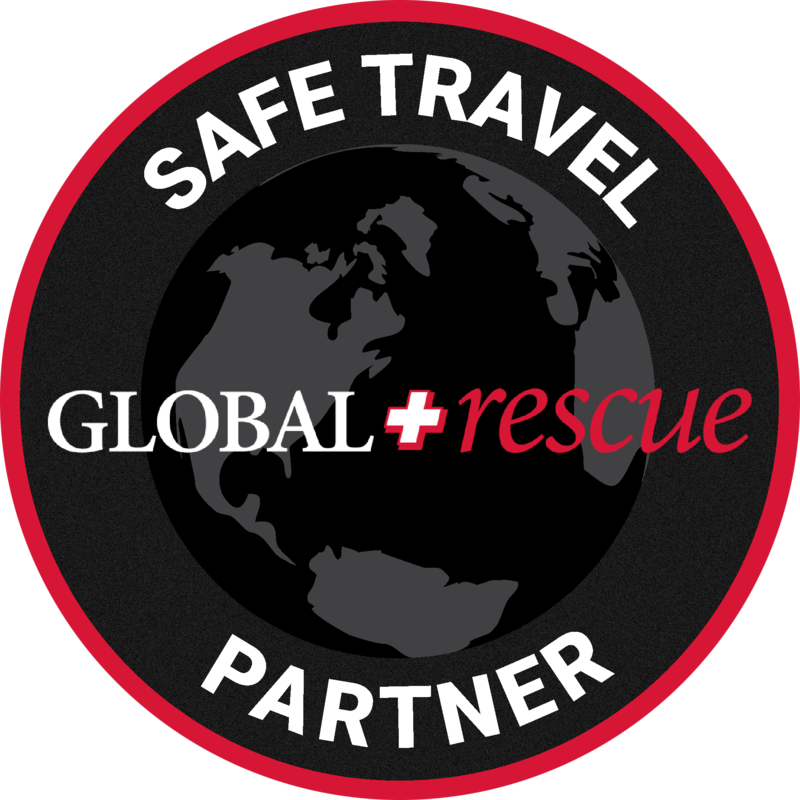 Not included: Air travel and related costs, fishing license ($100) travel insurance, laundry, flies ($8/fly), lure replacement, gratuities, onsite itinerary modifications, refunds for missed activities due to delayed flights and hotels and meals in Buenos Aires. 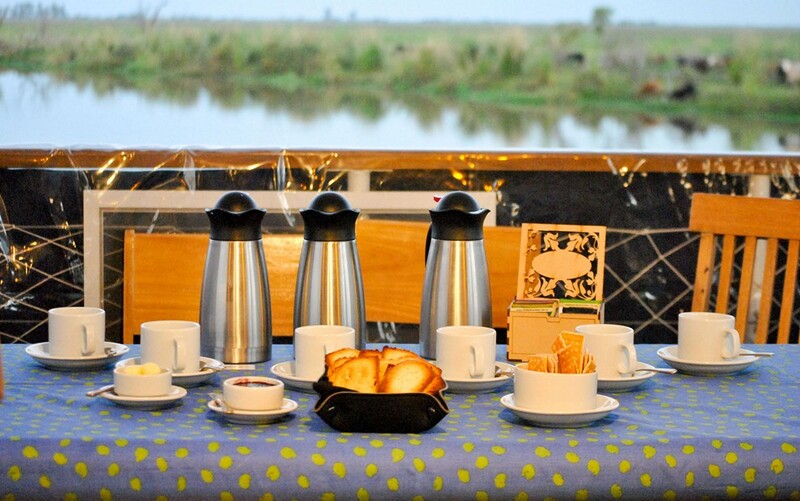 With our intimate knowledge of Argentina and our specialized travel agent, we take all the guesswork out of travel so you can concentrate on packing. 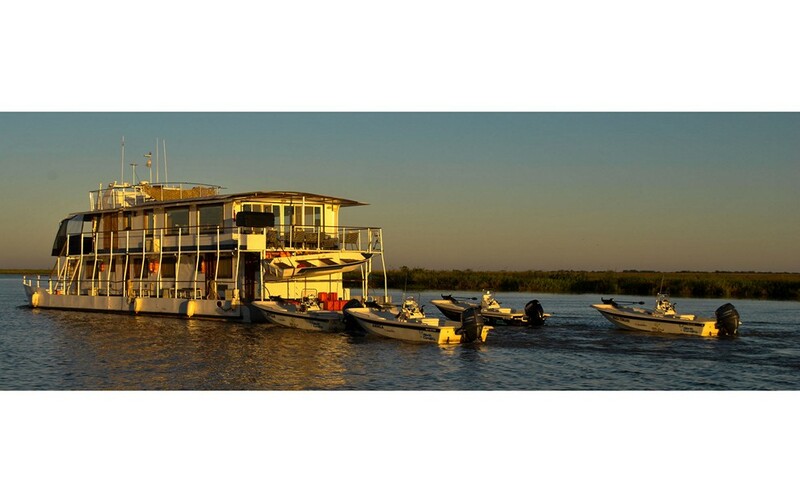 Anglers are picked up at the airport and driven 2.5 hours to the Azahares del Paraná Marina where they will navigate 45 mins in a speedboat to the mothership. Anglers are taken back to the marina in the speedboat and driven 2.5 hours to the international airport for their flight home. 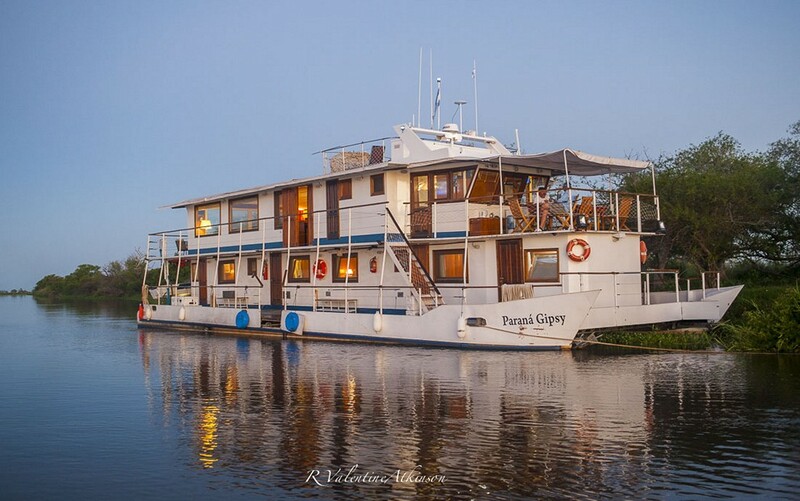 The mother ship, Parana Gypsy is a great addition to our dorado fishing trip on the Parana or Victoria Rivers. Great setup! And the crew, chef and staff were all outstanding. 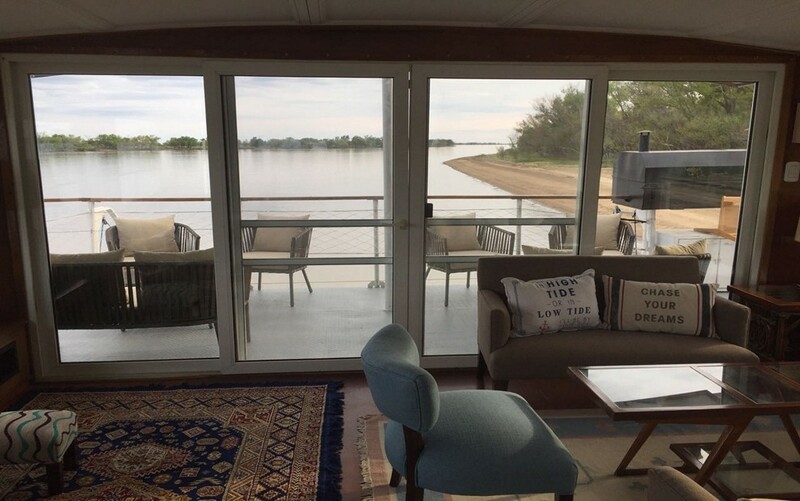 Very good operation on the Parana; I would return in a heartbeat! 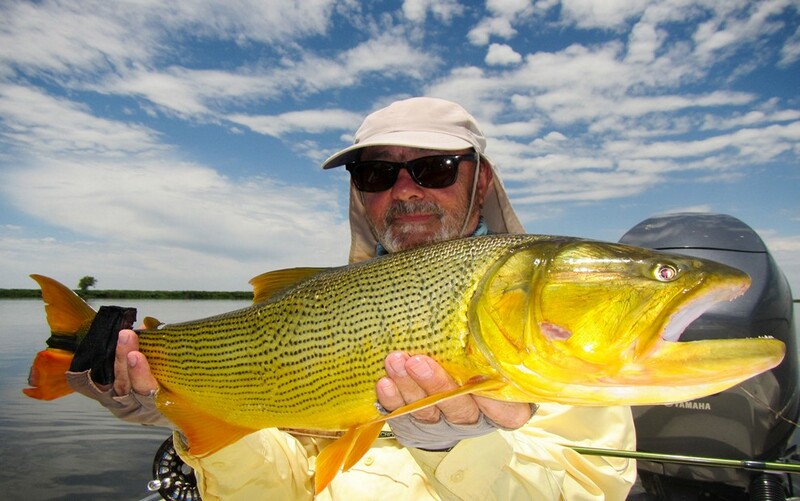 I have fished in a number of places, but the Golden Dorado River Cruiser was amazing and rates up there at the top of my list for overall satisfaction! The staff was great and the food was incredible, five-star quality! 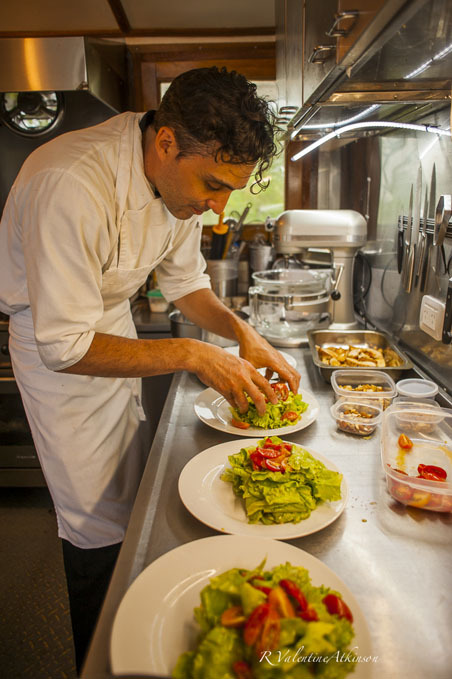 To prepare meals like that on a boat several miles from any nearby town was truly amazing! The fishery is fantastic with lots of fish. Incredible scenery with an amazing variety of birds. Gorgeous sunrise and sunset. 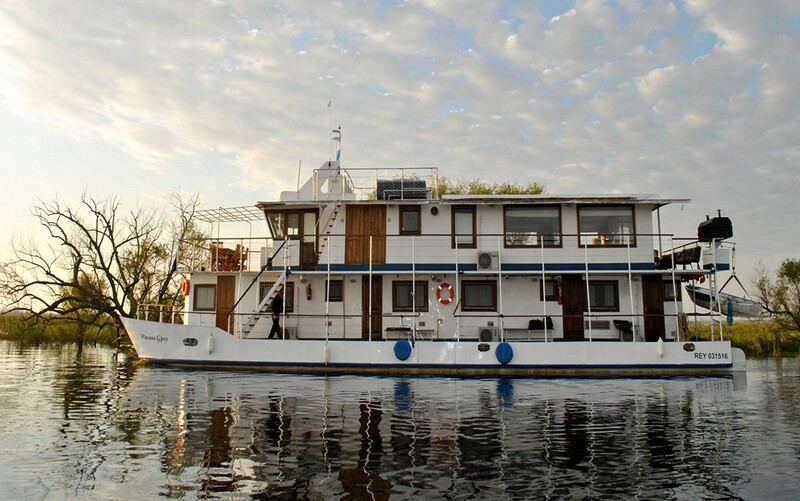 Comfortable accommodations and good quality boats and equipment. 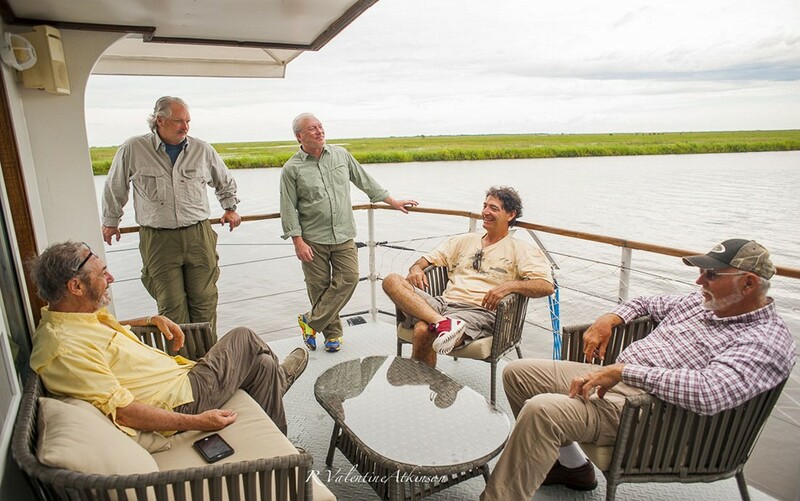 It’s one of the very best trips I’ve undertaken in 50 years of fly fishing! 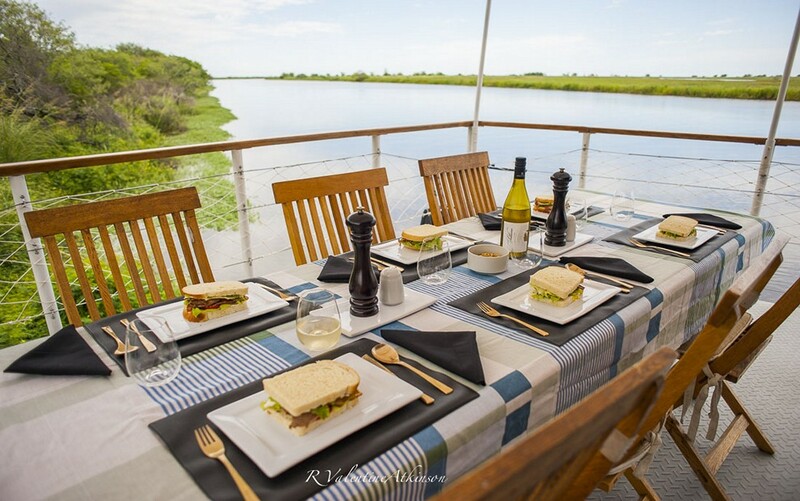 Whatever expectations one might have before making the trip to the Parana River Delta for a week aboard the Parana Gypsy, the reality is even better. 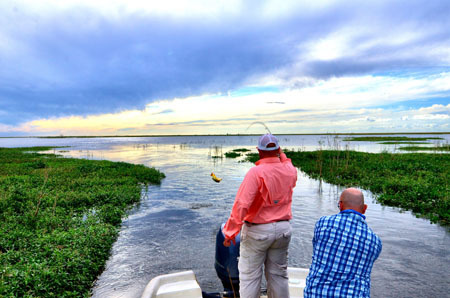 It truly is that good as a fishing destination. 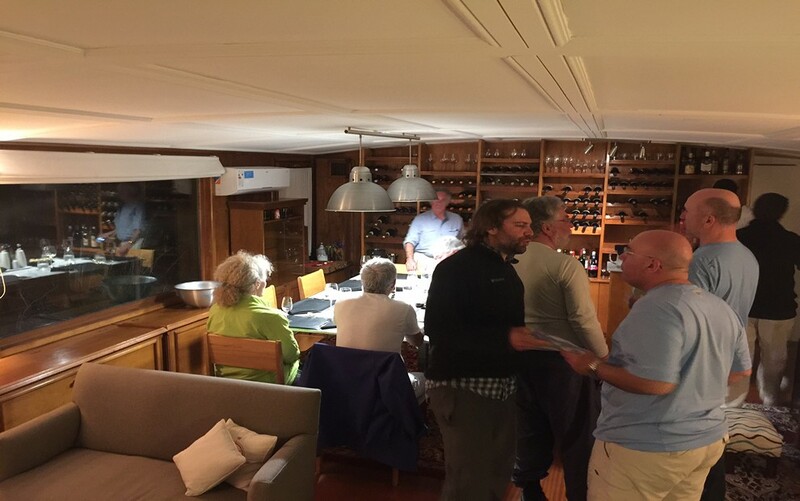 Superb accommodation, great food and wine, a wonderful team of helpful, experienced people… …and the fishing, well, it is just terrific, simply superb. 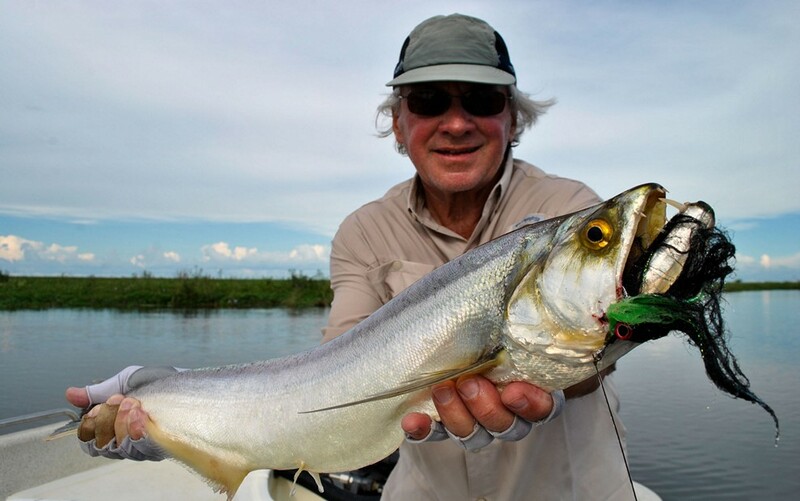 Feisty Golden Dorado slashing at streamers and poppers… …airborne for a good part of the battle… …a magnificent fly fishing experience. Plenty of other species too. I will be back; that’s for certain.